August Book Club « It's easy to hate. So I do. The Painted Veil, Somerset Maugham. Predictable, a tad trite and obviously terribly racist. Yet, still tense and wonderfully evocative of a different time. The Gate of Angels, Penelope Fitzgerald. Posh English Edwardians being all posh, Englishy and Edwardianesque. One’s ma mere recommended me this lady, she’s witty and wise (Ms. Fitzgerald that is; my mother is only semi-lucid, and chain smokes herself out of consciousness) and draws a rich tapestry of life and all its foibles without being depressing or annoying. A twofer! This book was even nicer; set in a rapidly changing Florence in postwar Italy, the books follows the love affair and eventual marriage of a young half-English aristocrat (in the historical sense) and an embittered, chip-on-his-shoulder type doctor from the south, and like the previous it’s witty, wise and dances a highwire between depressingly maudlin and pedantic and beautiful in its languid melodrama. Very long, very Russian. And once again I find one of the classics overhyped. A sprawling essay on the different types of humanity one sees in the world. Or a sanctimonious, arch piece of drivel that mocks and slanders the fine Russian name. Or something. It was long. I’m still recovering. The Sacred Book of the Werewolf, Victor Pelevin. 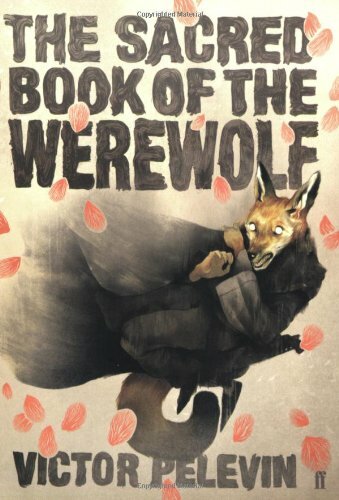 A book about a humanoid 5,000 year old fox prostitute who bangs werewolves and spend 300 pages discussing the meaning of life in increasingly confusing philisophical rants. It’s Russian as well, unsurprisingly. This entry was posted on August 4, 2011 at 10:07 pm	and is filed under Books. Tagged: Gogol, Penelope Fitzgerald, Somerset Maugham, Victor Pelevin. You can follow any responses to this entry through the RSS 2.0 feed. You can leave a response, or trackback from your own site.